As BrewDog found, consistency may be a big problem for canned craft beers. Drinkers may expect some variability with bottle-conditioned ales, but won’t want can drinking to be a lottery. Plus I would say any failure of clarity is likely to meet with a lot of consumer resistance. If beer isn’t intended to be crystal clear it should be made, er, clear on the label. Yes, that’s a good point. I’d like to think that with increased capacity comes consistency, but of course that’s not always the case. I think the brewers I’ve named are all either reaching or have comfortably reached consistency. 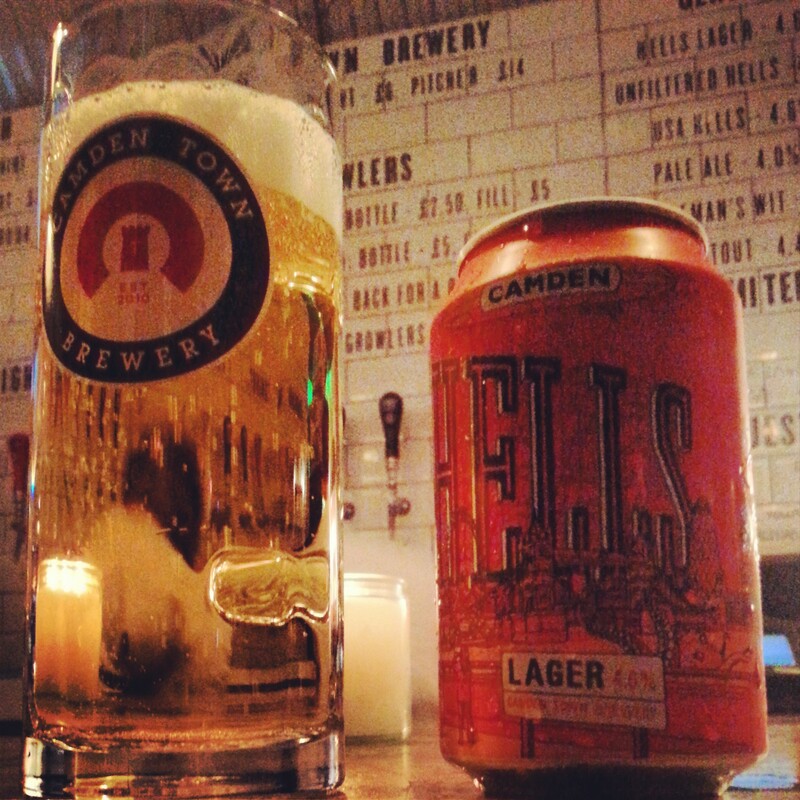 Clarity is another interesting issue, and perhaps why lager is seen as a more commercially viable choice to start with. Having said that, most bottle-conditioned beer labels I see make some reference to clarity/careful pouring, or in Beavertown’s case ‘Yeast is Good’, so I’m sure it could be tackled somehow. Thank for your thoughts. I was talking about this just the other day. Screw top wine bottles were seen as a vessel for the storage and delivery of inferior wine – no cork, no good. But wine in a screw top bottle is often, but not always better and it certainly makes buying wine less of a lottery. But it took 10 years for wine in screw tops to be accepted by everyday wine drinkers. How long for good beer in cans??? Cheers Richard. There’s some interesting similarities there. Screw top has become the packaging of choice for cheap wine, but also very decent wine too. Corked stuff, sparkling especially, retains its specialness. That same concern for quality is at the heart of it. It’ll take time certainly. I’m hoping that quality, commercial examples like Adnams Ghost Ship in cans and now Camden Hells will start to sway people. Couldn’t agree more Chris, great post. Up here, Williams Brothers are toying with the idea of canning following their £1m expansion – Double Joker would be every bit as tempting as Human Cannonball. I’ve said before – in fact I was saying it again last weekend – that aside from the cost (which admittedly is such a big aside it would be on both sides and right in front of you), if I was opening a new brewery, I’d try and go can-only. There’s your USP, right there. Thanks Rich. I’d heard Williams Bros might be canning, and they almost made it into the top 5! Now I’m thinking about cans of Caesar Augustus… Wow. Going straight to cans would be a bold USP, for sure. It would need somebody established who was confident of their finances and brewing ability to go straight into it. It’d be fantastic if someone did. Maybe it will be you one day! A further thought is that the widespread prejudice in the off-trade against selling single cans will need to be overcome. Ah yes. Although, as it’s a prejudice related to the packaging and selling of multipacks, the gradual increase in popularity of higher-priced individual cans might be enough. Having said that, I would be happy to buy six packs of ‘Craft Cans’ even if they were a lot more expensive. Provided the beer quality is consistent, and the beer itself tastes great, then canning is certainly a great idea. They are easier to carry (if, like me, you do all your beer shopping on foot and don’t have a car boot to fill up), and they store easily on fridge shelves. A good selection of US cans are making their way over here now, from Ska, Sly Fox, Brooklyn, Flying Dog – but for me these work precisely because they have no sediment that requires careful pouring. I think that would be a key decider as to whether a beer works well in a can or not. I don’t mind a bit of sediment but I don’t want a load of grainy gunk dumped in my glass affecting the texture of the beer (I don’t think anyone wants to drink a lumpy beer!). I do think we’ll see it happening more over the next few years, as long as the consistency is maintained (I haven’t bought any more cans of Punk having been put off by the consistency issues when I first bought them). Human Cannonball in a can, stacked on my fridge shelves, would certainly be awesome! Cheers Tania! Yes, consistency is key. I’ve noticed more cans from the US recently, too. In fact, I had Sly Fox’s 113 IPA only last week, and really enjoyed it. I don’t know if I’m telling myself this before I taste the beer, but I feel that I can really ascertain an extra fresh character to imported cans. Sediment is big turn off for a lot of people – especially those finding their feet in Good Beer. Cans, in that case, could perhaps win more people over to the cause, with their accessibility and user-friendly nature? Plus, I think almost all Craft Cans would look incredible on the shelf next to the tired, old conventional packaging of most beer cans. Perhaps enough to encourage people to try them. Next Next post: Not that Ace, then?